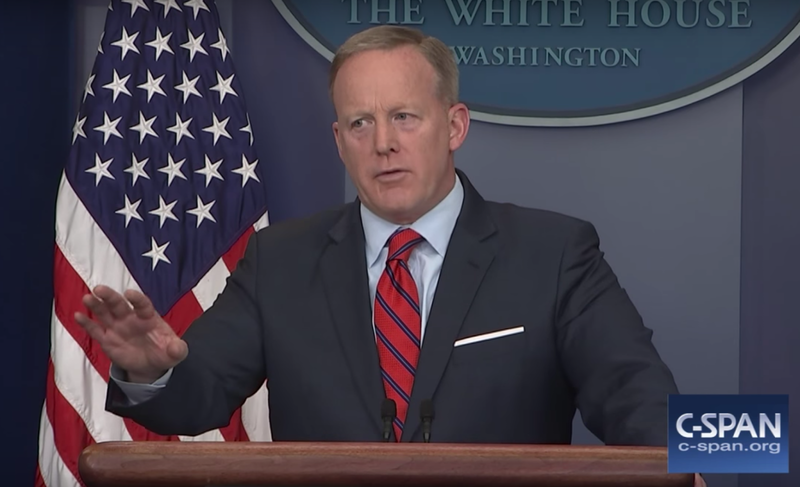 Yesterday, Sean Spicer, in an understandable desire to denounce of Bashar al-Assad's recent use of chemical weapons said, "... We didn't use chemical weapons in World War II. 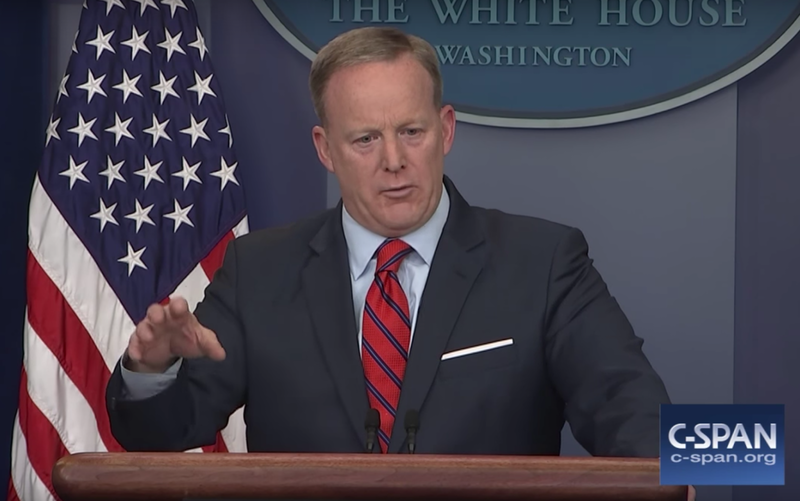 You know, you had a, y-, you know, someone who's as despicable as Hitler, who didn't even sink to the, to the, to using chemical weapons ...". Spicer, of course, was grossly incorrect saying that Hitler did not use chemical warfare. He probably was referring to was his belief that the Germans did not use Chemical warfare in battle - but indeed they did. Both the German's and the Japanese used chemical weapons in World War II. Germany deployed this outlawed warfare against the Russians in Sevastopol in 1941-42, on Russian troops in the catacombs of Odessa in November 1941, as well as in May of 1942 in eastern Crimea during the Battle of the Kerch Peninsula. Japan deployed chemical weapons against both the Communist Chinese and the Kuomintang people. Yet what alarmed most people who heard the Press Secretary's statement, and indeed even evoking gasps in the White House Briefing Room, was the non-acknowledgment of the largest genocide in human history. Millions of innocent people (the majority of whom were Jewish) were murdered in Hitler's extermination camps. 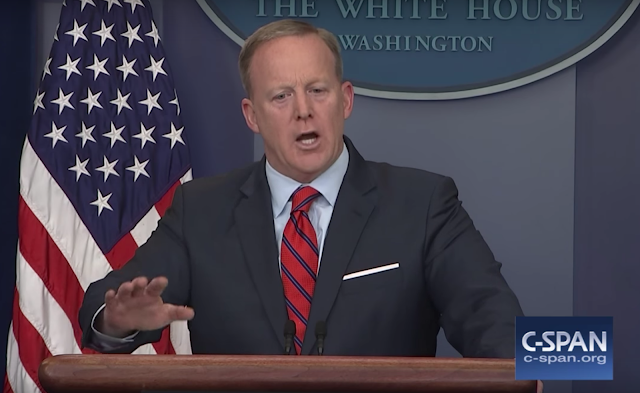 When Cecilia Vega asked him to clarify his statement, Sean Spicer struggled. Generally speaking, Mr. Spicer uses palm-down gestures and other dominant and hyper-dominant nonverbal illustrators far too frequently and aggressively. These and other tendencies of his, have exaggerated in the form of parody in many venues. Palm-down gestures should be used very sparingly - added deliberately yet very briefly during moments when extra authority or assertiveness is needed (almost choreographed). As with many alpha displays, palm-down gestures rapidly crescendo to a hyper-alpha status if used too frequently or aggressively. While palm-down gestures will serve to solidify the mindsets of those who already strongly agree with you, others who only mildly agree or who are undecided - will be alienated to your cause. Thus a palm-down gesture most often is an intimidating one - and a rapport destroyer. If a person is using palm-down illustrators - their mind is already closed. You won't convince them. It's best to re-address any disagreements you may have at another time. Palm-up gestures are examples of "Alpha-Beta Hybrids". When used skillfully, they will project authority - but understanding, power - but not aggressiveness, confidence - but also open-mindedness. Palm-up gestures also display a willingness to listen. In addition, and of profound importance, is if one uses palm-up gestures, their audiences will have significantly greater recall of the subject matter versus when palm-down gestures are used. 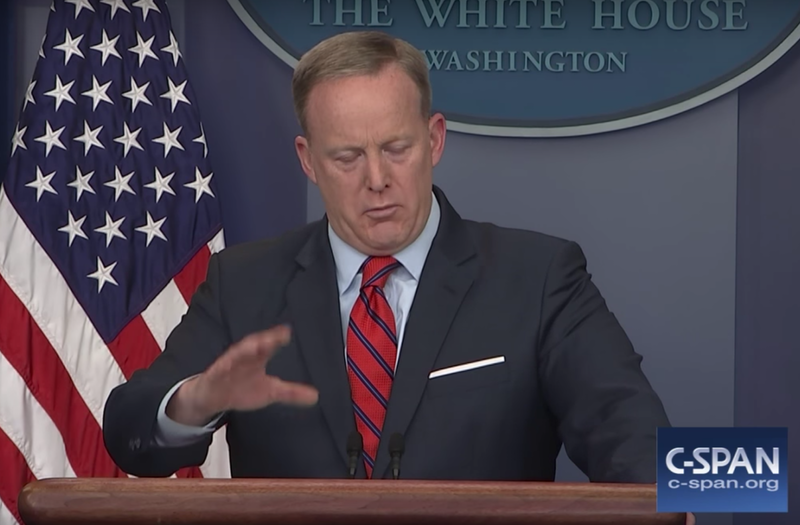 Notice when Sean Spicer was attempting to back-pedal, he went into a more aggressive nonverbal pattern, repeatedly using palm-down gestures. At a time when he should have been apologizing (which later, on a different broadcast, he did), Spicer was becoming more defensive, aggressive, and hyper-authoritative with his words, tone of voice - and with his body language. 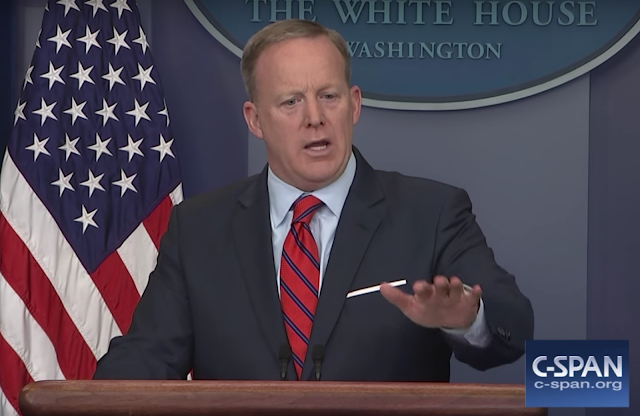 It's particularly - even viscerally painful, to see Mr. Spicer using palm-down gestures with added frequency and vigor during his attempt to explain his earlier statement once Ms. Vega reminded him of the Nazi death camps and The Holocaust. The Nazis, of course, notoriously used an elevated palm-down gesture as their salute.